This was another house productivity weekend. We've been trying to schedule them regularly to try and get everything to a good manageable baseline. So we are focusing on things like organizing the bedrooms, basement, and maintaining the yard. This weekend we focused on maintaining the flower beds that frame the house. We had 7 cubic yards of red cedar mulch delivered a little before 8am Saturday. First we weeded all the beds, then I mowed the lawn, and we started spreading out mulch. It felt like hours and hours or shoveling and moving wheelbarrows full of mulch throughout the yard, but eventually we had a nice think layer of mulch framing the whole house. It looks so much nicer than the weeds! This is one of the four large flower beds. I should have taken before photos... oops. After the flower beds were done, we did some work to our tiny backyard. Weeding, mulching, and tearing out a broken water feature put in by the previous owners. It now looks pretty cute back there and will be a nice place to set up the kiddie pool... which I may end up doing this afternoon since it is so hot! We also did some rearranging of the exercise nook of the basement and made room for a weight machine my parents gave to us. 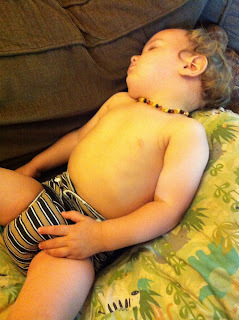 The munchkin spent a lot of his time running around the yard, playing with shovels, and getting dirty. By the end of the day he was a very tired kiddo. Sunday, Micah, the Munchkin and I headed down to Hartford for Connecticon for the day. It was our first time. 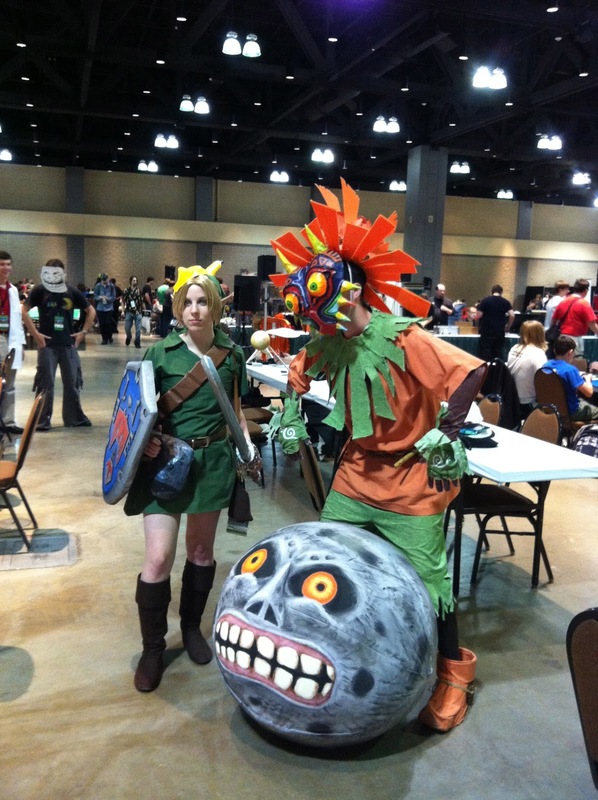 They call themselves a multi-genre pop culture convention. I'd say they were like an anime con with a really heavy gaming focus. We actually spent the majority of the day in the gaming room. Played Ticket to Ride- which is really fun and I want to get a copy of, and Micah entered and won an 8 person Magic the Gathering Tournament. 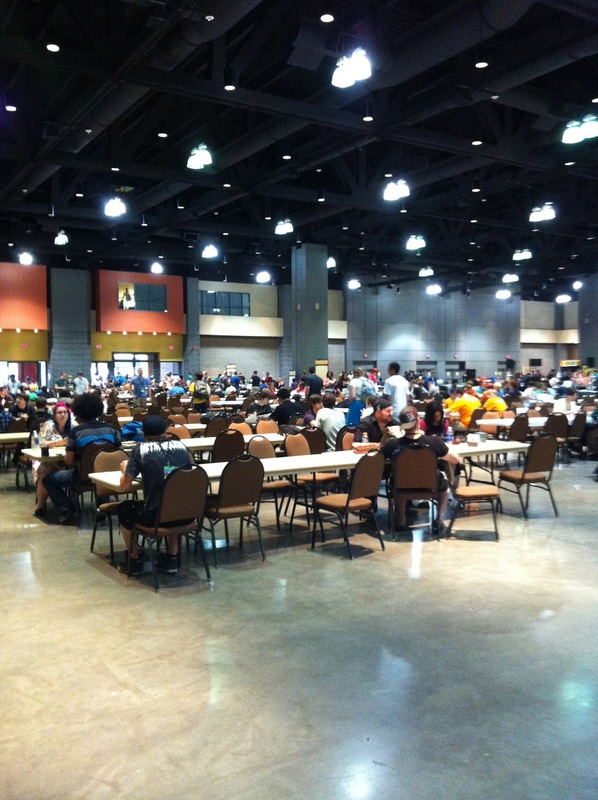 The gaming room was huge- this is just the tables for card games- further to the right were round tables for board games, and then in the back were round tables partitioned with pipe and drape for table top role play gaming. While Micah was doing his tournament, the muchkin and I wandered the dealer's room and the artists tables... then just wandered the halls and people watched. This was an awesome con for watching cosplayers, and I really want to make costumes for all of us for Arisia this year. After the con we headed into West Hartford for dinner at Max Burger. I had a delicious housemade veggie burger on a tasty gluten free bun with a side of sweet potato fries. yum! This morning was spent in court... and I'm off to a client meeting in a few minutes.